It turns out consumers want more from a brand than just the brand using cause related marketing to take a stance on a social cause. In fact, they want brands to help them make a difference. That’s right! 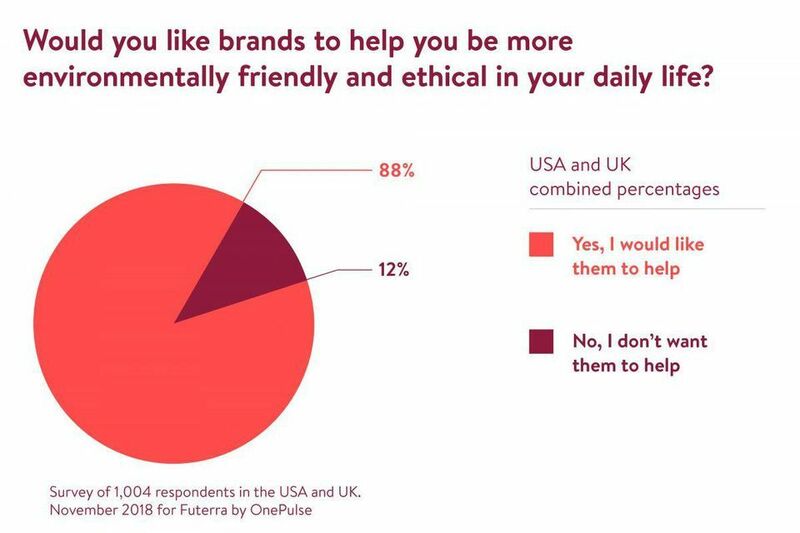 According to a new survey done by Futerra of over 1,000 consumers in the US and UK, they found that a very high number (96%) of people feel their own actions, like donating, recycling, or buying ethically sourced goods can make a difference. And over half of those folks believe that they personally can make a big difference in the world. So, why does that matter to your company? brands have a key role to play! Although people think they can make a difference, they want more help doing it. That’s where brands step in (maybe yours?). This same survey found an overwhelming demand for brands to step up on sustainable lifestyles. If your brand isn’t helping your consumers improve their environmental footprint and social causes they care about, you’re pretty much in danger of disappointing almost all (88%) of them. That would definitely not be good. Over the last few years, brands have become much more confident in trying to change the world themselves. But, just talking about your own values isn’t enough. Consumers want you to help them live theirs, too! Too much of the cause related marketing or CSR activities of brands promote what they are doing, rather than reaching out and helping the consumer to make their own difference. Therein lies the difference. So how, exactly, do brands do this? The good news is there is no right or wrong way, and there are literally thousands of ways to do it, you’ve just got to make sure you’re engaging in these conversations with your consumers. Straight up ask them how you can help them make a difference. They will let you know. Whatever you do, ask yourself the right question… Your brand’s consumer has the right to change the world for the better – how are you going to help them?